Earthquakes occur without warning and can affect a wide area of people, structures and natural landscapes within seconds, making them difficult—yet not impossible—to prepare for. Though half of the world’s population lives near active faults, large-scale earthquakes are so infrequent that many don’t understand or realize the importance of assessing their risk. No matter where you live or work, natural disasters and hazards are a part of life. While you may know of these hazards and risks, you may not fully understand what your risk factor means and what you can do with that information. The scale and amount of shaking of an earthquake is dependent on a variety of factors, known as your risk. By understanding your risk, you can take important steps to reduce the chances of suffering injury, damage or financial distress after an earthquake. When it comes to a catastrophe, like earthquake, there are important things you can to do make yourself safer before, during and after an earthquake. According to the United States Geological Survey (USGS), there are three main factors that determine your seismic risk: the level of the seismic hazard, exposure to the hazard and how vulnerable that population and property is to the hazard. Hazard: Seismic hazard levels differ significantly across the united states. USGS Earthquake Hazard Maps are a great tool to depict hazard levels across the country. Exposure: Earthquake causalities are estimated and determined by the population in geographical areas with a higher risk of earthquakes, as well as the quantity and quality of the infrastructure in that area. Vulnerability: The vulnerability of property to seismic hazards is determined by whether or not it has earthquake-resistance construction. Buildings that are compliant and up-to-code with building regulations are less vulnerable to sustaining damage. Seismic risk differs greatly by your geographical location, which is why there are a variety of mapping methods used to pinpoint risk based on your specific location. Applications like Temblor use location to determine seismic, landslide, tsunami and flood hazards across the continental U.S. Temblor is free to use and allows business and home owners to estimate their likelihood of experiencing seismic shaking and how much damage to their business or home an earthquake could produce. Do you have earthquake coverage? 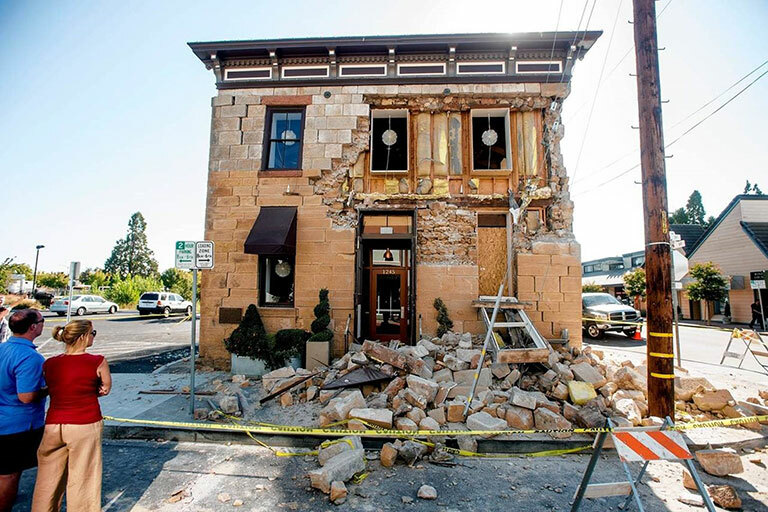 If you realize you are both at risk of experiencing a large-scale earthquake and do not have insurance for earthquake damage, you may want to look into obtaining coverage from your insurance agent. ICAT offers comprehensive earthquake policies for both homeowners and business owners. Bolting your house to the foundation and bracing your cripple walls. Strapping your water heater to the house’s frame. Securing fragile items on your shelves with earthquake putty and straps. Putting together an earthquake recovery or preparedness plan is essential for both homeowners and businessowners at risk of earthquakes. Keep emergency resources, such as important phone numbers and documents in a safe place. Knowing your risk and being prepared in the event of a disaster are two key elements in preparing for an earthquake. Remember, if disaster does strike, stay calm and know the best thing to do at first sign of shaking: drop, cover and hold on! After the shaking subsides, make your way to a safe place and brace for any aftershocks—avoid leaving your home or business until emergency officials deem it safe to do so. Once it’s over, be sure to contact your insurance company to submit a claim if you suspect there is damage to your home or business. We’ll be there when you need us most.